Anyone who knows me knows that I love Walt Disney World. It’s not a secret. My family loves Disney World. Our children have grown up loving Disney World. It is part of what identifies us. I love that I can visit Disney World and go to almost any location and have a memory of my family. It’s completely priceless. I love it so much that I often forget about the place that started it all – Disneyland. For the longest time, I felt like if I’ve been to Disney World I didn’t need to visit Disneyland. They are the same only Disneyland didn’t have as much to offer. I couldn’t have been more wrong about that. It’s easy to want to compare the two places. They are often times mistaken for one another. The Magic Kingdom is referred to as Disney World because in California the park is called Disneyland. And, it’s hard to go to Disneyland and not call it the Magic Kingdom. If you are not familiar with one or the other, it’s very comforting to visit and have it feel familiar. It’s important to remember that they are not the same and both are great destinations. If you have not yet visited Disneyland, here are my Top 5 Reasons To Visit Disneyland. Disneyland is the original park that Walt Disney created. 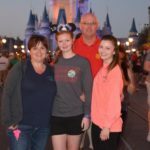 I fell in love with Disney when I started researching and learning how much detail there is and how important it was for families. 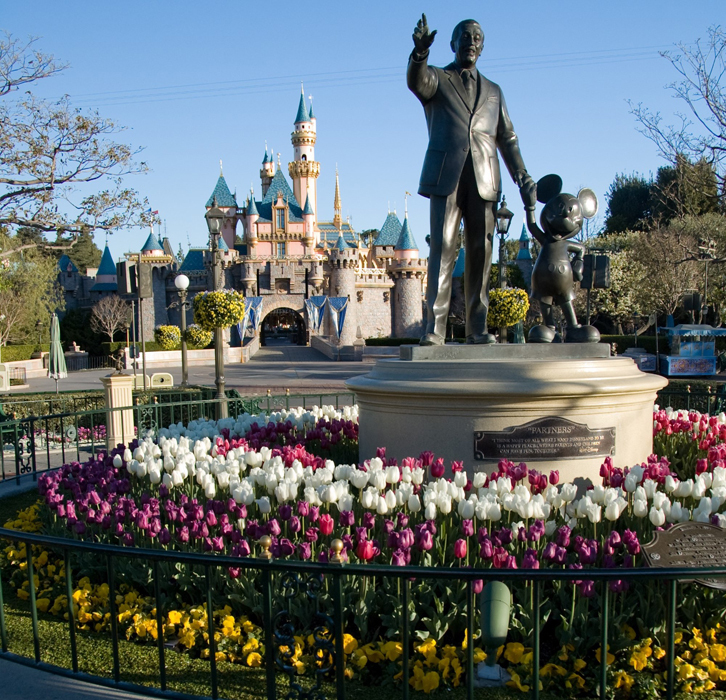 Listen to Walt Disney talk about why he created Disneyland. There is just something about visiting the place where it all began. If you are really into the history of Walt Disney, you can even take a tour called Walk In Walt’s Footsteps. I dare you not to cry. I mentioned above that Disneyland Resort is smaller. You can visit Disney World, spend a week, and still not see all there is to see. When you visit Disneyland, 3 full days in the parks are going to suffice. This gives you time to see other things in the area, or you can also just take a shorter vacation. One of the best things about smaller is the ability to walk everywhere. This doesn’t necessarily mean less walking. It simply means that Disneyland is walkable. It has a college campus feel to it. This is great for those families traveling with strollers. You don’t have to worry about folding your stroller up and putting it on a bus or even waiting for a bus. You can simply walk from your Disneyland hotel to one of the parks. You don’t need a stroller to appreciate this. I recently stayed at the Disneyland Hotel. I left my hotel room and took a leisurely walk to the park. It took ten minutes to get to the turnstile and this included going through security where they do a very thorough bag check. It’s the same – but different! Disneyland is so familiar when you’ve visited Disney World. You might think you’ve ridden Pirates of the Caribbean, Space Mountain, and many others, but each park has their own touch to them, therefore making them very different. Did you know that It’s A Sma ll World in Disneyland has Disney characters throughout the attraction? Did you know that Space Mountain you sit next to someone instead of single file? 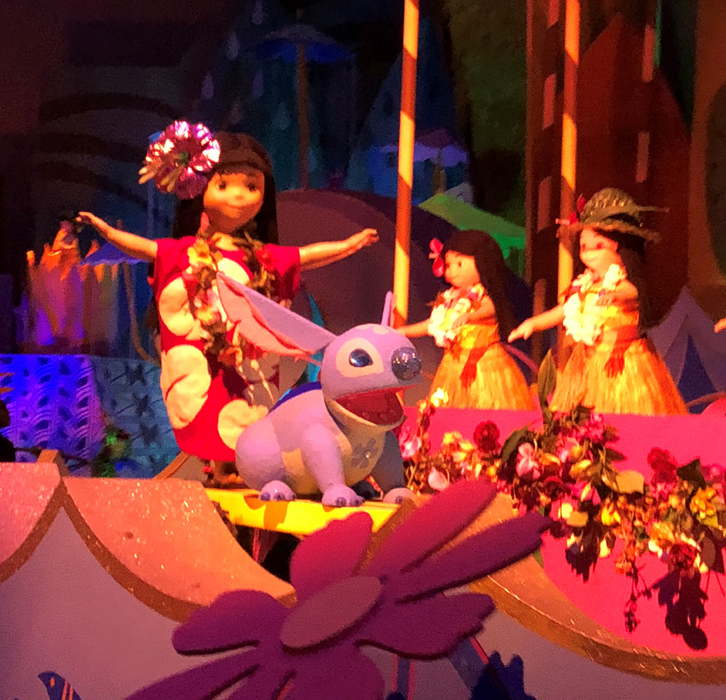 Not only are familiar attractions different, but Disneyland has attractions that you won’t find at Disney World such as Alice in Wonderland, Toad’s Wild Ride, and Finding Nemo to name a few. Different? Things you can’t find at Disney World? Yes, number four on my list is different. 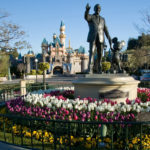 Beyond the different attractions in Disneyland, Disney’s California Adventure park is home to some great attractions that are must-do’s, and you can’t experience these at Disney World. First up is the newly reimagined Guardians of the Galaxy attraction. At one time, this was the familiar Tower of Terror. It is now full of great music and adventures with your friends from the movie. If you’re lucky, you might even grab a picture with Groot. 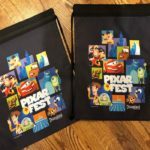 You, of course, are not going to want to miss Pixar Pier. This newly reimagined area features many of your favorite Pixar friends with great rides like the Incredicoaster and Pixar Pal Around. 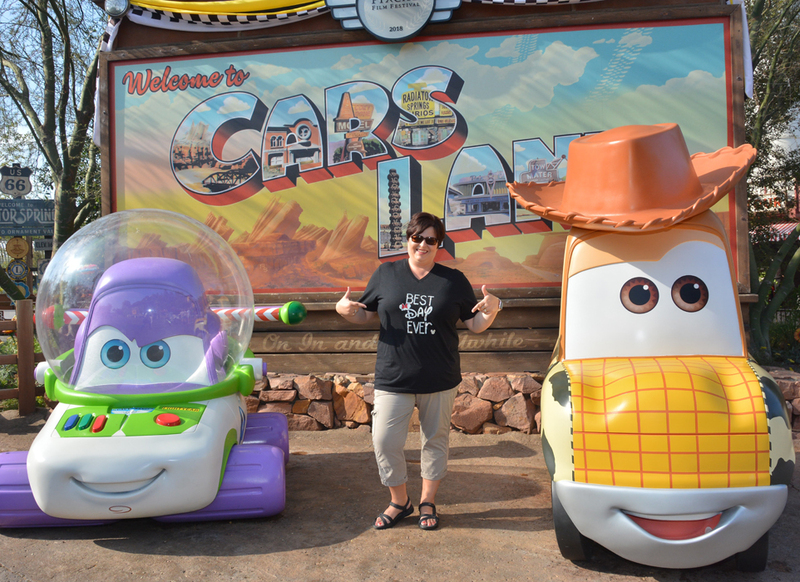 But, my favorite different attraction that you can’t see at Disney World is Cars Land. This amazingly well themed area is home to all your favorite friends from Cars. You won’t want to miss Radiator Springs Racers where you get to race another car. I don’t want to brag, but I did win both times. While my list could go on, we’re going to end this one with the weather. Weather is not always our friend and sometimes can put a damper on our vacations. For those that can only travel in the middle of the summer, California is a great option. Yes, it is hot, however it lacks some of the humidity making it much more enjoyable. 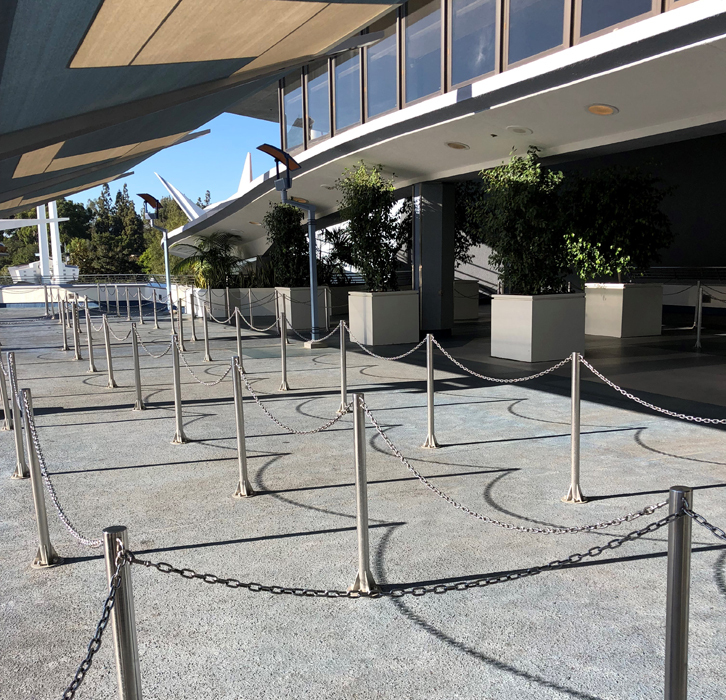 The weather can be so much easier to han dle in California that most of the attractions and queue lines are outdoors. Check out this picture of Space Mountain. This is part of the queue for the ride. While the ride itself is indoors, much of the line is outside. While I could go on and on about why you should visit Disneyland, I want to be clear that I am not suggesting that one is better than the other. 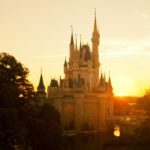 I could write an equally long, if not longer, blog about why you should visit Walt Disney World. 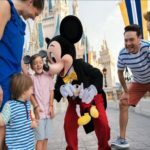 I wanted to bring to light some of the differences and reasons that Disneyland Resort should be on your list of places to visit – even if you have visited Walt Disney World. 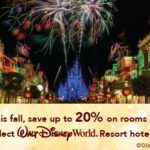 If you are considering any Disney destination for your next vacation, I would love the opportunity to help you plan. I offer custom planning for your vacation at no additional cost to you.